A loan of $700 helped to purchase a boat and a cow. Mrs. Sokhim C., 26, and her husband, Mr. Tha Set, 27, live about seventeen kilometers from Phnom Penh. They were married in 2004 and have three children: two sons and one daughter. Mrs. Sokhim has been selling vegetables for almost two years. She buys them from Udong Market for resale at Prek Phnao Market. Mr. Tha has been fishing in the Tonle Sab River and the lake behind the village and selling the fish to the villagers for eight years. Besides fishing, he also raises cows as well. Therefore, Sokhim is requesting a loan of US$ 700 to purchase a boat and a cow for her husband. MAXIMA Microfinance Plc is a Cambodian microfinance institution founded in 2000 to help low-income rural and urban people and small- to medium-sized businesses (SMEs) access financial services. Sustainable access to credit helps to create jobs and enables business owners improve their living conditions, educate their children, provide health care to their families, and more. It also enables the rural poor to remain at home with their families, rather than moving to city centers in search of employment. 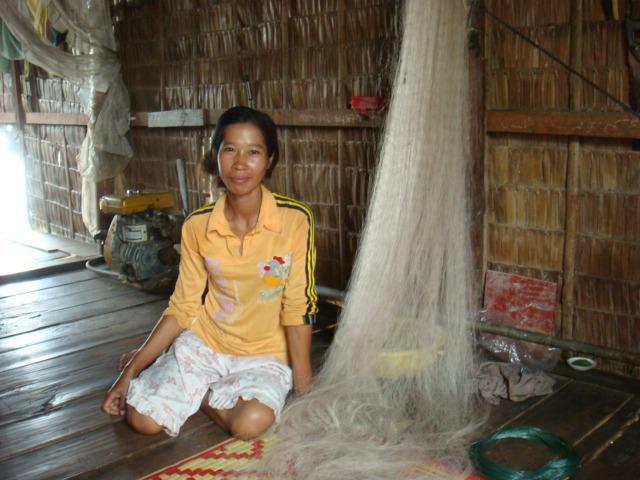 Kiva is proud to work with MAXIMA because of its outreach to the poor in underserved markets of Cambodia. MAXIMA even has a branch serving clients on a remote island in the Mekong River where no other MFI operates. Many of these clients are directly funded through Kiva loans.